Rory has worked in the Australian and global equity markets for nearly 30 years. Whilst having worked in a variety of roles, his specialty is in trade execution as well as portfolio construction and risk management. Rory has had previous roles with Rothschild Australia Asset Management in managing a fund of funds. His specific responsibility was to source and vet potential managers as well as to determine the allocation of capital between them and manage the consolidated risk of the portfolio. 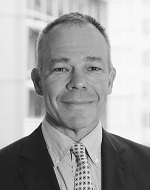 In 2006, Rory took up a senior Equity Facilitation role at UBS Australia. As part of this role, he oversaw the management of a high conviction portfolio of UBS Equity Research ideas known as Alpha Preferences. He was responsible for portfolio execution, re-weighting and all aspects of the portfolio trading strategy. More recently, Rory has held trading and execution roles at Commonwealth Bank of Australia, prior to their exit from the institutional equities business.